A series of widely disseminated bizarre emails led to Aniruddha Sherbow's arrest and conviction. The man who had stalked U.S. Rep. Tulsi Gabbard since she was on the Honolulu City Council has been sentenced to 33 months in prison after pleading no contest to two counts of transmitting threats, Reuters reports. Aniruddha Sherbow, 44, was arrested in Tijuana, Mexico, in 2013 after sending a series of bizarre emails to law enforcement and media outlets. Among other things he threatened to behead Gabbard. Sherbow has been held in a Washington, D.C., facility since then while awaiting disposition of the case. 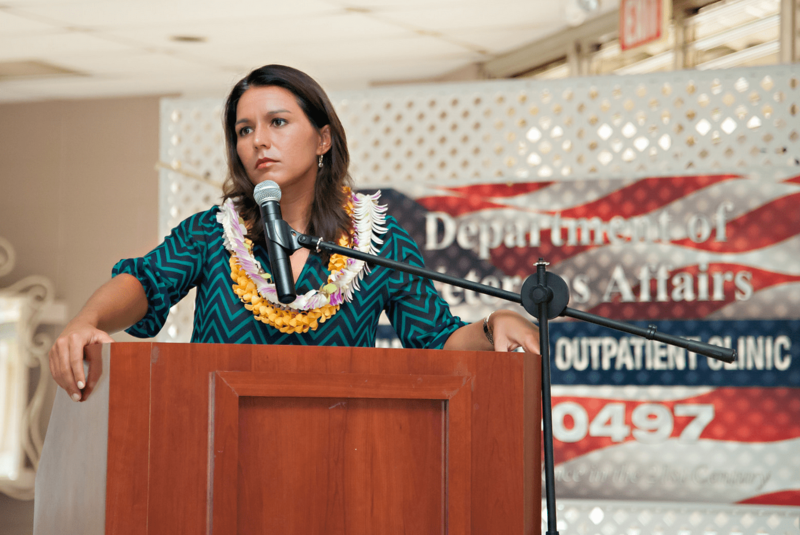 Rep. Gabbard at a Kauai Women Veterans Conference.